We admit that we'd love to unwrap a fabulous frock or cozy jacket from Eskell (hint, hint! ), but we're not against giving a little sartorial love either. While lazy girls can shop online and reap the free holiday shipping bennies, everyone else should peel themselves away from the computer this Saturday for Eskell's second annual Holiday Bazaar. From 11 a.m. to 7 p.m., you can shop clothing and accessories from designers like APORTA, Avindy, Bird Trouble, Cities In Dust, Shades Of Gray, and more for you (why not?) and yours. And just in case you are in need of another excuse to go back the following weekend, Eskell is offering free custom engraving on Friday December 14 and Saturday December 15. Gift shopping made easy? We'll take it. 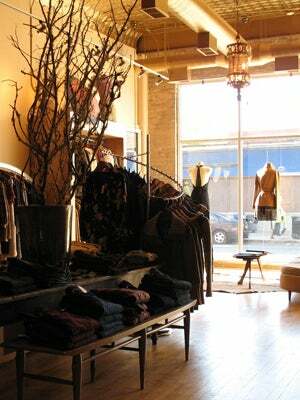 Eskell, 1501 North Milwaukee Avenue (at Honore Street); 773-486-0830.